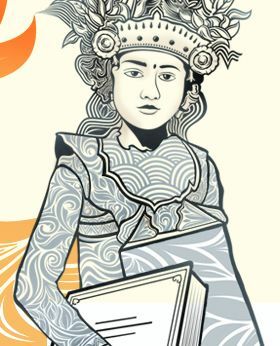 I recently had the pleasure of attending the Ubud Writers & Readers Festival in Bali (5 – 9 October 2011). With an eclectic mix of presenters from Australia, Asia, Europe, Africa and the Americas, this writers festival provided a first account insight into the world today – warts and all. One recurrent theme introduced by a variety of writers focused upon the destructive political and social input from the USA upon many countries outside of the developed western world. Before providing the relevant details of the political skulduggery undertaken by the USA since the Second World War (to keep the world free) let me be clear that I am not anti-American, and though I will be dealing with some of these negative issues associated with the USA, I will also be discussing many positive qualities associated with the USA as presented by various writers at the festival. This is actually the essence of this blog post. There are two distinct sides to the USA, and while many people acknowledge one side or the other, depending upon their personal political views and allegiances, it is necessary to recognise both sides to fully comprehend the Pisces psyche of the USA. 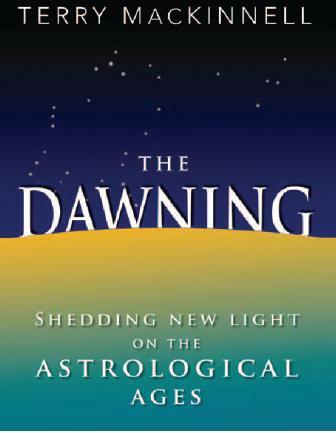 In my recently published book, The Dawning – Shedding New Light on the Astrological Ages, I basically introduce the USA onto the world stage as the modern empire of the Pisces-Aquarius age. In a similar fashion, Ancient Rome was the empire of the Aries-Pisces age, Ancient Egypt the empire of the Taurus-Aries age and Sumer (Mesopotamia) the empire of the Gemini-Taurus age. Each of these empires introduced specific peaks of achievement associated with the age-pair of the times, with a distinct focus upon the first sign in the age pair. The focus in this blog however is on the bi-polar nature of the USA due to its primary association to Pisces. The USA is not the Pisces Empire of the modern world, but the Pisces-Aquarius Empire, but Aquarius plays second fiddle to Pisces in the Aquarian age due to the Overflow Effect (see: Is the Aquarian Age Like a Block of Granite?). Basic zodiacal sign symbology for Pisces displays two fish swimming in opposite direction. This is reflected in American politics, foreign policy and society. At the Ubud Writers & Readers Festival of 2011, the two fish of the USA were on display (without anyone realising the Pisces connection, other than myself). The author and journalist Tariq Ali is an expatriate Pakistani living in exile in London due to his political views – having a political view in Pakistan is dangerous! In the two sessions I attended that included Tariq, he repeatedly described how, since the Second World War, the USA has actively undermined the political integrity and the fledgling democracies in the Middle East, in the same way that it did in South America. Tariq basically stated that the USA would undermine any country that it perceived to be against the foreign policy interests of the USA. This is a well-documented and widely known fact. Towards the end of the session, Tariq wittingly stated that Australia was the USA’s fixed aircraft carrier in the region. Andrew Fowler discussed his new book The Most Dangerous Man in the World (about the rise of Julian Assange to international prominence). One of the reasons Julian is fighting his extradition to Sweden, is that not only is the Swedish government conservative, it was also a stopover point provided by the Swedish government to the Americans sending alleged terrorists to other countries for torture. The Americans have demonized Assange as a spy with the complicity of the New York Times, and in a show of political corporate (Pisces) support, American companies such as MasterCard, Visa and PayPal pulled the plug on donations being provided to Assange. Even though the New York Times published some of the information provided by Assange’s Wikileaks, they stated that Julian was a source, not a journalist. Journalists are protected in the USA due to freedom of speech – but sources do not have this protection. Even the New York Times was complicit in the demonizing of Assange. In the session “My Egypt” with Gamal Al Ghitani and Khaled Al-Khamissi, about word on the street in Egypt, it came out that Assange’s Wikileaks provided some important information that helped garner support for the overthrow of the Tunisian regime through people-power. Wikileaks revealed that American diplomatic sources secretly discussed how they would not support the Tunisian government due to its corruption and despotism. This fact alone gave moral support to the democratic revolutionary elements in Tunisa – and the rest is history. Tunisia was the first despotic regime to fall, setting in momentum the unrest that spread to Egypt, Bahrain, Syria and other Middle East countries. So while the USA demonizes Julian Assange, it appears that his altruistic desire to reveal the truth about what our politicians and diplomats are really doing behind the scenes and ultimately on our behalf, has already borne some fruit. I wonder how the American Founding Fathers in their revolutionary zeal would view Julian Assange? The final political session “Coups, Crusades and Revolutions” with Horst Geerken (Germany), Oya Baydar (Turkey) and Tariq described a litany of interference by the USA into the internal affairs of many countries resulting in the deaths and persecution of many people – many of whom were just members of a trade union or expressed left-wing political views. Horst was resident in Indonesia in the early 1960s in the final years of the non-aligned President Sukarno, and witnessed the USA backed military coup against him led by General Suharto. Once installed in power, the USA gave the names of communists, leftists and sympathisers to be neutralized, and consequently between one and three million Indonesians were murdered, with the numbers killed in Bali particularly high. This is all documented in Horst Geerken’s book A Gecko for Luck. The reason why the USA orchestrated coups around the world and militarily intervened wherever necessary (Korea, Viet Nam, Iraq, Afghanistan etc.) has evolved since the post-World War Two period, but the initial purpose was to contain and stop the spread of communism. There is no doubt that the growth and development of communism in the first part of the 20th century was an evil and duplicitous enterprise carried out by ruthless and unscrupulous supporters. Its evil was such that communism was probably equivalent to one of the horses of the apocalypse. The duping of much of the western intellectual and leftist political supporters morally supporting the evil of Stalinist-style communism was perceived by the USA as the enemy within – and in retrospect this view was basically correct, even though the enemy within were not aware of their own ignorance. It should be remembered that the key sign in the current Pisces-Aquarius age is Pisces – the sign of gullibility and deception. Furthermore the first part of the 20th century was a Pisces hot spot – possibly the last Pisces hotspot of such magnitude for almost another 26,000 years. Even many western intellectuals and academics were hypnotized (Pisces) by the communists. The post-war American political agenda had communism firmly in its gun sights, and it did not waver in facing the enemy wherever it tried to break out from its support base in the USSR and China. Unfortunately America utilised the Pisces technique of demonization and adopted any means, fair or foul, to defeat its enemy – basically the same technique of the communists. From the militaristic American perspective, the appearance of communism or its supporters anywhere in the world was cause for great concern and it did everything it could to eradicate its enemy and supporters. If a fledging democratic government had to be overthrown by a military coup – so be it! If millions of people had to be killed, even if they were only of a left-wing political persuasion – off with their heads. America took the view that the end justifies the means. This may seem incongruous with a democratic nation, but the history of democracy shows that democracy to date has always been limited. For example in Athens in Ancient Greece, only the male landholder could vote, and they also owned slaves. In the modern example, while the USA is internally based on democratic institutions, its role, and foreign policy in the international arena has always been based on self-interest (no different than most other powers in the world). Pisces involvement is in the fact ‘the end justifies the means’ – any number of deceitful and sordid calamities could be bestowed on any country deemed an enemy or opponent. Since the collapse of monolithic communism, the USA was bereft of an enemy. 9/11 solved that problem, and the USA has engaged in a new reign of hostilities against Al-Qaeda or its supporters and allies in the Middle East, or using its War Against Terror to invade or undermine any country it so pleases – in much the same way it has widely done since the Second World War. I am sure that none of the key players in the inner American political establishment feels anything other than justifiable righteousness in containing its perceived enemies – be they the former communists or the new breed of terrorist networks. Most people in the world believe that their personal actions and beliefs are correct – this underlies the Pisces illusion of our modern age. The unconscious reasoning goes something like this – if I am correct, then anyone who disagrees with me incorrect. If these incorrect or deluded adversaries cause a problem, or I perceive they may cause a problem, I can further enhance their incorrectness by demonizing them in any way I like.’ This was done to the extreme in Nazi Germany, Stalinist USSR and Mao’s China. It has been done to homosexuals, some minor religious groups, major religions against other major religions, people who use drugs – and in some countries, people who drink alcohol and most recently to illegal immigrants. Any use of demonization is evidence of Pisces (i.e. delusion and deception). The USA, as the Pisces-Aquarius Empire of the modern world, has mythologised its minor Aquarian revolutionary nature that prompted it to become an early democracy in a world basically ruled by monarchical elites. There is no doubt that the sentiments expressed by America’s Founding Fathers will echo through the world for millennia to come. Despite this strong Aquarian element in the American psyche, the Pisces element is the senior partner. One way this Pisces element manifests is that, by and large, American’s believe their own propaganda. They are proud of their leading role in the world and particularly their democratic traditions – but they let the mirage of their self-assessment over-rule reality. The reality is that countries may be relatively democratic within their borders, but they behave outside of their own border just like countries have always done since countries were first invented – they act in their own self-interest and, if powerful, they do all they can to make other countries obey their will. In total contrast to Americas’ international relations, one of the final sessions of the Ubud Writers & Readers Festival named “Traversing Cultural Divides” highlighted three different people who have fled to or immigrated to the USA, and now call it home, plus one Afro-American. Basically Arthur Flowers (USA), Chris Abani (Nigeria), Edel Rodriguez (Cuba) and Shirley Lim (ethnic Chinese Malaysian) waxed lyrical about the benefits of living in the USA, and the many opportunities this gave them. They believe that anyone who sets their mind to it can live the life they deserve in the USA and achieve fulfilment in their lives. Such success is not born of race, social status or religion but their own effort in an egalitarian society. For example Shirley Lim’s family has lived some generation in Malaysia, but Malaysia will not treat them as a full citizen due to their ethnic Chinese background. Edel Rodriguez grew up under Castro in Cuba until his family fled to Florida, USA. Rodriguez acknowledges his childhood memories and he would like to be buried in Cuba when he dies, but in the meantime he is a successful graphic artist in the USA. Chris Abani relates to one incident in the USA, his adopted home, where he had to stay in a strange city one night, in a hotel with no friends to call upon. The helpful and friendly staff informed him that the tree he could see from his hotel window was famous for lynching Negroes in the not too distant past. As a black African himself, this did little to make him feel at home. Nevertheless, all the panellists were firm in their conviction that no country in the world gave the same degree of freedom and opportunity as the USA. The USA has pioneered more than democracy, it has been at the forefront of technological evolution for almost a century, and has recently extended itself into cyber world. Bill Gates and Steve Jobs are two leading lights in the new technological world. In a recent article in The Global Edition of the New York Times it was revealed that sentiment was so high following the death of Steve Jobs, that following the release of the new iPhone 4S, many customers stated that the “4S” meant “for Steve”. The USA has provided leadership in the cyber world as evidence by the inroads that various American companies have achieved – from IBM, Microsoft to Facebook, Google, Wikipedia and so on. These innovative developments have been lapped up by a hungry and mainly appreciative world. In should be noted that Steve Jobs was proud of his (Pisces) drug use – he was a product of the 1960s and 70s and he was an unabashed proponent of this aspect of his life. The USA led the world, yet again, in those revolutionary and liberating times of the 60s and 70s with marijuana and LSD high on the list. As one online commentator stated – if Steve had been caught, he would have been put in a (Pisces) cage. This yet again displays the two fish Pisces paradox that is the USA. On the one hand, the USA led the new drug fuelled world, but simultaneously enacted one of the most draconian laws against drug use in the western world. Currently the American war on drugs is dissembling Mexico and causing untold hardship around the world in its stance against an evolutionary social development that American conservative elements do not like. Where else in the First World does any other country other than the USA has such a large block of citizens who refute Darwin’s Theory of Evolution in favour of creationism? This same fundamentalist Christian block maintains an arch-conservative political influence that beggars description and has no known parallel in any other First World country. The American conservative bloc is another manifestation of the two fish associated with Pisces. America presents itself as an Aquarian freedom loving democracy – but this is nothing more than ‘white man speaks with forked tongue’. Americans are not consciously malicious, like everyone else they believe they are doing the right thing in the right way, but even their approach to Julian Assange and Wikileaks indicates a chink in their Pisces armour. They prefer that the delusion of their democratic mystique is maintained rather than be scrutinized and have reality appear. Assange was merely putting on public display the reality of American foreign policy. What the American government was telling its citizen’s as its justification for war was in stark contrast to the facts that their own intelligence service provided. Reality has no association with Pisces other than Pisces is the sign of ‘lack of reality’. Pisces is associated with public relations and spin – America does everything it can to maintain the mirage of its own spin. Pisces is an ill-defined archetype which is an inherent part of its nature. It is more like a mirage or fog than a solid object. Finally, there is no suggestion that the stance and approach that the USA adopts in its foreign policy is in any way inferior or worse than most other nations, past or present – it is just that America is the most influential nation in the world, and so its actions are noticed the most – and criticised the most. The UK was equally malicious in the age of the British Empire as were most European countries – and most countries in the world given the chance. There is an urban myth developing that the USA is being overtaken by China. One writer put this in perspective – I think it was Tariq Ali from Pakistan. Basically he said that if you take the next 10 leading countries in size, after the USA, add all their respective defence budgets together and then double this figure – it still does not equate to the USA’s defence spending. Though this may be an exaggeration, the military power of the USA is not about to be usurped. One columnist recently referred to the rise and fall of empires, and stated that the USA had at least two decades left as the world’s superpower. This is where the astrological ages provide greater clarity. The USA, as empire of the Pisces-Aquarius age, will be at its exalted position for many centuries, if not for another 1,500 years or so – but with some significant turmoil and changes coming in due course. The first major unsettling development due for the USA will not occur before the middle of next century. The USA is an enigma within an enigma – it is Hollywood on the grand scale in every sense. It is a mixture of fact and fantasy, where fantasy is presented as fact, and facts are often presented as fantasy. It promotes the glamor of democracy and the deceit of an international bully. For me this was encapsulated by President Bush immediately after the 9/11 terrorist attacks. Bush stated to the effect that “.. he would make the world safe for Americans”. What about everyone else in the word – don’t they also deserve peace? This is Athenian democracy – it is for the elite only. In a session “Happiness in Human Nature” Rodaan al Galidi, a long term refugee in Jordan from Iraq, and currently resident of Holland since 1998 reflected upon a CNN news report of the war in Iraq. “800 Iraqi’s were killed today and an American soldier was shot in the leg”. CNN then went on and described the convalescence required, input from his family members and other details from the soldier’s wound. The USA promotes an elitist democracy but hides this reality. This is Pisces pure and simple. Nevertheless, the USA is the empire of the Pisces-Aquarian age, and the real Aquarian age empire will not appear for at least another 1,500 years. The USA will be perceived as a stepping stone along the way towards real democracy in the same way that ancient Athens is considered the starting point of the western democratic tradition. As a major consolation for idealists and rationalists, if the Stalinist communist model had been successful and the world had succumbed to their brain-numbing political model of terror, subjugation and genocide, the USA would appear as a saint – but only in comparison. Now we know that the USA is not a saint but we are left with the Pisces choice – is the glass half full or half empty? Being an optimistic Sagittarian, I take the USA glass to be half full. Furthermore there are exciting times ahead for the USA and the world (see: A Celebration 7,000 Years in the Making). In relation to Ancient Rome, the USA position today is equivalent to the year 145 BC for Rome. Rome did not attain its maximum territorial size until around 250 years after 145 BC. 145 BC was towards the end of the period known as Supremacy of the New Nobility (287–133 BC) where there was a kind of balance of power of the aristocratic senate and the plebeian assembly. However this was the most militarily active era of the Roman Republic and it left many Roman citizens bankrupt and dependent upon the state due to the deteriorating economic circumstances. Following 133 BC, Ancient Rome teetered between normalcy and crisis, and various reforms were attempted. The world is not static, and this also applies to the USA. So in conclusion, when many friends and acquaintances throw their hands up in collective horror at the shenanigans of the USA in world affairs since the Second World War, I remind them that for every evil deed done and every corrupt or deceitful action take, that on the other side of the coin, America attains some major development, goal or produces something uplifting for humanity. The IT revolution is being led by the USA, and the ubiquitous cell phone has been shown to play an important part in recent revolutions – as is the case with social network websites. The two fish will always be stuck to the USA, and unfortunately they swim in opposite directions. This Pisces paradox lies at the core of the American psyche. To accept only one side is to be part of the delusion. Most people choose one fish or the other as if these individual fish adequately describes the USA. Unless cognizance is given to both fish, that seem intrinsically opposed to each other, than no real understanding of the age empire of our time can be made. Republic.” Wikipedia, The Free Encyclopedia. Wikipedia, 19 Oct.
2011. Web. 20 Oct. 2011. Now available online and at major book stores.